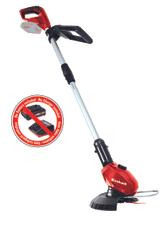 When mowing the lawn, a narrow strip of grass is often left over that is difficult to reach with the lawn mower. 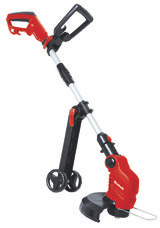 This is where a grass trimmer can help out, enabling projecting grass to be moved effortlessly. 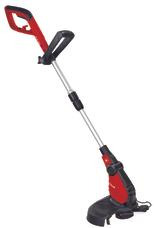 The tool also helps keep weeds at bay where they can become rampant at difficult to reach spots. 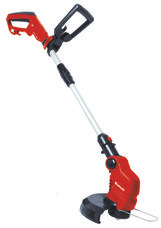 Grass trimmers and power scythes work with a rotating cutter to tackle unwelcome plant growth. In the first case this is normally a nylon line, and in the second it is a cutting blade. The advantage of cutting work with a nylon line is that it can be used with no difficulty up against corners, edges, walls and trees without damaging them. 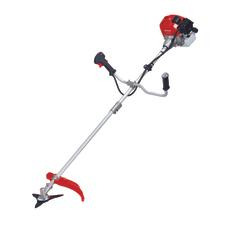 The power scythe, on the other hand, has enough power to even overcome stubborn vegetation.